What is the Department of Defense’s “Better Buying Power” initiative? How is DoD promoting competition, providing incentives, reducing bureaucracy, and improving services acquisition? 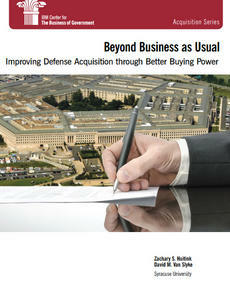 What can federal agencies learn DoD’s Better Buying Power?